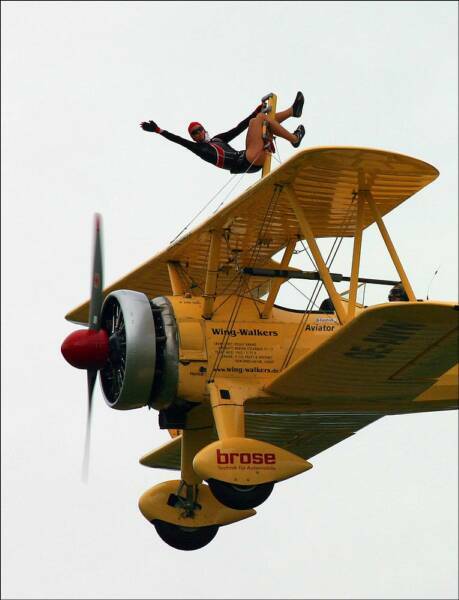 Wingwalker Peggy Krainz with over 350 performances throughout Europe kindly sent us these photos. Peggy attained her pilots license in 1997. At an airshow in 1998 she witnessed an act with someone on the wing. She found the courage to ask the pilot if she could try it and he agreed. She was a natural. 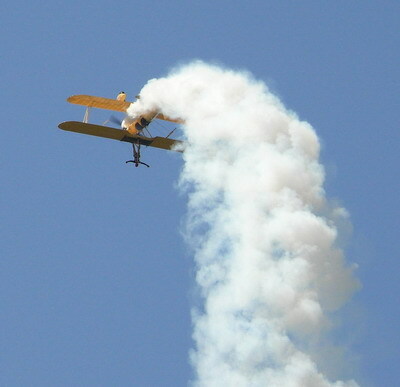 From 1998 to 2003 she stood on his wing while he performed aerobatics. She also did some stuntwork for German T.V. In 2005 she bought her own Stearman and created her own wingwalking team and began to walk around the plane, true wingwalking.